We're becoming quite familiar with mental health-focused workspaces. We now have several Habu customers that focus on some aspect of mental health, be that full-on psychotherapy or those that fit more in the wellness camp (think yoga and meditation). In fact, in August we published a piece by one of those customers, Aaron Balick PhD., from Stillpoint Spaces, all about their journey and reasons for starting a space in this niche. And, similar to Stillpoint Spaces, hOUR SPACE was founded to break through the stigma of mental health, drive the conversation forward, and provide a superb space for the practice of psychotherapy. Just before the holiday break, Snezhina Marinova, co-founder at hOUR SPACE, was kind enough to set aside some time to talk to me about their space’s story. “I’m sorry,” she said, “you might hear some people walking around and speaking Bulgarian.” It was a busy day at hOUR SPACE, something that has become ever more common in the last six months since hOUR SPACE hit profitability, about a year into their journey. Happy to hear the good news, I dove in. I wanted to know how and why Snezhina and her co-founder, Petya Dimitrova, got into coworking. 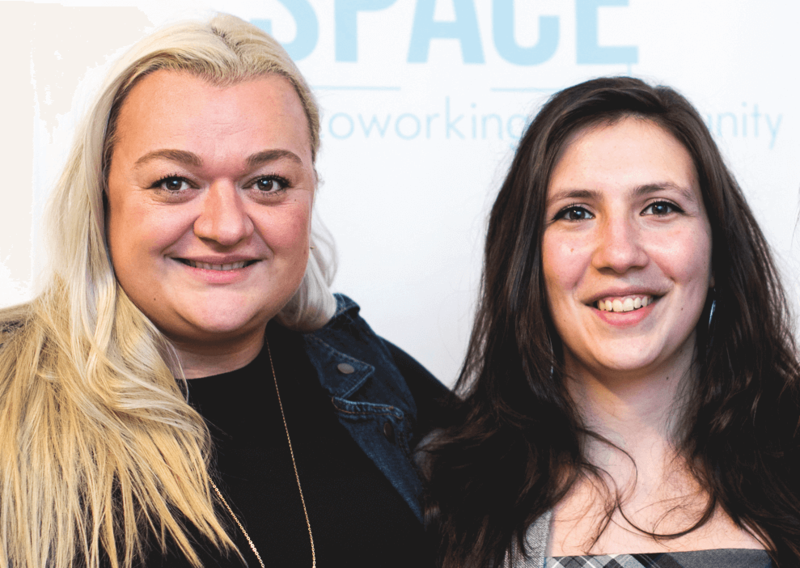 hOUR SPACE Co-founders, Petya Dimitrova and Snezhina Marinova. "We started the space partly out of necessity," Snezhina said. Snezhina is a therapist herself. She'd been renting space from other therapists but found their facilities uncomfortable and services inefficient. “I wanted to get a place of my own with my business partner. We talked about it, and she suggested we make a place for my services, but also that we could rent out to other therapists who were in the same situation." Snezhina and her partner figured that if they were experiencing issues finding suitable space to practice, then other people probably were as well. And, it turns out they were! The two co-founders located a quiet place in the city center of Sofia and launched the space in September 2017. Snezhina’s story is what most like to call scratching your own itch, which isn’t an uncommon motivator for new coworking space founders. And, in my opinion, it’s often the mark of a great workspace in the making. Because Snezhina was a part of the audience she sought to serve, she had inherent benefits when it came to spreading the word about hOUR SPACE, as well as insight into which services to offer and how to design the space. She knew that this idea might seem wild to some, so she provided special offers for therapists to alleviate the pain of going first. That got the ball rolling, and hOUR SPACE had some of their first clients. But marketing isn’t the only area that benefited from Snezhina’s insight. Her background also informed the design of the space. When it comes to designing a great workspace, many spaces attempt to throw money at the problem, but that’s not enough. You must be thoughtful with your design. And that’s apparent at hOUR SPACE, thanks to co-founder Petya Dimitrova who runs Vaia, an interior design studio. hOUR SPACE's rooms are bright, clean and flexible to suit their clients' needs. And it shows. The facilities are spacious, comfortable, and warmly decorated, which makes sense for a space focused on therapists. But they didn’t need to do a lot to achieve this look. The space was already decked out with many right-sized offices, crucial for privacy during therapy sessions. What’s more, there’s a larger open space, perfect for the many events hosted by the team at hOUR SPACE. Comfortable couches occupy nearly every room at hOUR SPACE. The design of hOUR SPACE has brought side benefits as well. For example, many businesses in Sofia have found the space layout and aesthetic perfect for brainstorming sessions and offsite meetings, and the request for rooms for this purpose has been through the roof. As with any well-run coworking space, the growth of hOUR SPACE wouldn’t be possible without great tech and processes behind the scenes. This is most obvious when it comes to coordinating the multitude of private room bookings that hOUR SPACE has on a daily basis. Having an easy-to-use and intuitive booking system has been critical. Snezhina and her team also rely on various platforms for team and task management and accounting too. And as their business grows, they hope they can invest more on in-house technology to upgrade their event venue, such as high-grade audiovisual equipment. While it's slowly becoming less of a faux pas to speak about mental health topics in some places around the world, Bulgaria is one of many places where the conversation has been lagging. That's why, as mentioned at the outset, the primary goal of Snezhina and her co-founder is to get people talking about mental health. They're trying to create a safe space for conversations around tough topics. And that's precisely what they're doing with their monthly event series, ‘Psychotherapy is for Everyone’. Psychotherapy is for Everyone was started in January 2018 and brings together psychotherapy professionals and the public to discuss specific mental health topics at each event, including depression, panic attacks, anxiety, eating disorders, raising children, stress, and relationships. hOUR SPACE donates all proceeds to small, local charities that don't typically receive much funding. The event is almost always sold out. No coworking story would be complete without a few bumps in the road, but luckily for Snezhina and Petya, they have been relatively minor. Competing member goals is one such issue that tends to affect most quickly growing coworking spaces. This situation happens when two separate types of members like to use the space in a way that negatively impacts the others. Often, the issue is noise related, as was the case for Snezhina. "We had this a three-month workshop for creative writing," Snezhina said. "They would have acting in one room, and they would scream and yell and throw themselves on the floor. And then we have therapists right next to them." The team has been able to mitigate these issues by informing members about groups that may cause possible noise issues well in advance, and the members seem to be understanding about them. It's incredible what the team has built with such simple ingredients. But competing member goals isn't the only issue. Just being busy is a problem in some ways, although a good problem to have by most accounts. 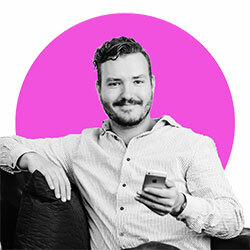 What’s Next For hOUR SPACE? Following on from Snezhina’s comment about a second location, I asked about expansion plans and what they have planned for the future. But a second location isn’t the priority for now. The main focus for 2019 for hOUR SPACE is to expand their events series, create and share exciting new content about mental health, and introduce a registration fee that will allow the team to provide more benefits and discounts to members. We look forward to seeing more from hOUR SPACE in 2019, and are happy to power their workspace with great tech as they grow throughout Bulgaria, and maybe beyond. Even more than that, but more than that, we love connecting with inspiring workspaces and telling their stories. Each time we do, we learn something new and reinforce the trends we've noticed in the last few years, such as the rising tide of niche workspaces like hOUR SPACE. If you want us to tell your story, drop us a line at team@habu.co. We’d love to meet you.